According to recent studies, most dog owners love their dogs much the same way they do their own children. And because we love them, we keep them healthy, happy and strong by giving our dogs different types of supplements. Supplements such as a multivitamin, or an herbal or fish oil tablet. Perhaps also probiotics and antioxidant tablets as well. And speaking of love, did you also know that, in all likelihood, the feeling of love for our dogs is mutual for the dog as well? To keep our best friends and family members healthy and vibrant, TopDog Vitamins has reviewed and chosen the best vitamin and multivitamin, fish oil supplement, probiotics and hip/joint supplements for your dog. Do dogs need or require vitamins? The short answer is yes, they do. Even though dogs look different than human beings, they are also mammals – like us. And all mammals share the need and certain requirements for vitamins. others, such as minerals (like iron) and fat-soluble vitamins, do not. 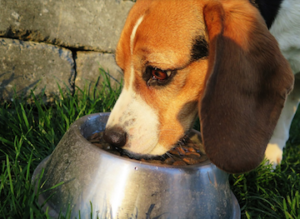 Humans and dogs, however, do require water-soluble vitamins daily. In addition, both humans and canines require certain other vitamins, such as Folate – also on a daily basis. According to certain doctors and vets, who have done studies on dogs and their nutritional needs, dogs only store small amounts of water soluble vitamins in their bodies. This could be as the result of the evolution of dogs from the hunting wild to domestication. In the wild, early dogs, or more likely wolves, had a much greater supply of water soluble vitamins. Vitamins were readily available in the form of fresh water, certain plants, berries, and especially wild game. Wild game that was not farm raised, but in the wild. This sort of early diet is no longer available for domesticated dogs. As a result, pet food companies have attempted to add certain vitamins, minerals, protein and roughage into their wet and dry dog foods. Often, however, due to the unique requirements of each dog, there may not be enough vitamins for your top dog. After studying, researching and reviewing dog vitamins and multivitamins for sale, we have chosen six of the best dog vitamins which we believe will suit almost any breed and size of dog. 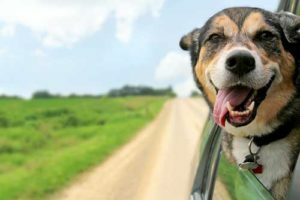 Here are our reviews of the 6 best vitamins and multivitamins for adult dogs and puppies and here are our reviews for the 6 best vitamins, supplements and multivitamins for senior and older dogs. Dogs, just like their human parents, can suffer from dry and itchy skin. In many cases, natural supplements, such as fish oil can help this common and uncomfortable problem. Another word for constant dog itching is, “pruritus“. 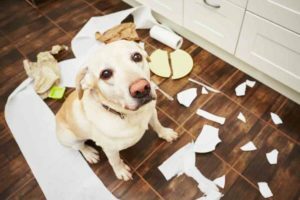 This can be a difficult thing for a pet parent to deal with, as so many things can cause it. 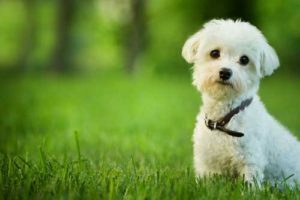 Things such as fleas, ticks and mites are most common, while itching can also occur as the result of food or seasonal allergies and, at times, a skin rash or infection. If you should notice a skin rash or other irritated area on your top dog’s skin, you should get in touch with your vet as soon as possible. In many cases, a fish oil supplement can help your dog with pruritus. As fish oil contains omega-3 fats, these are the ingredients that will assist in reducing skin irritation and inflammation. 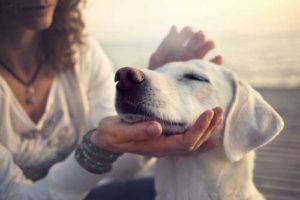 Some vets also say that fish oil supplements can also reduce your dog’s itchy reactions to seasonal pollen, as well as other skin problems such as canine seborrheic dermatitis or seborrhea. There are many herbal and fish oil supplements out there from which to choose. Here are our 6 best recommendations for fish oil supplements for your dog. We hear the term, “probiotics” quite often – what does it mean? Probiotics refers to the good or “friendly” bacteria and microbes that live in our guts. And since dogs are mammals too, mans best friend has probiotics, just like humans. There are actually billions of them in your dog’s intestinal tract, aiding in the digestion of food. Recent research has indicated that probiotics do much more than aid in the digestion of food. These bacteria also help fight off the bad bacteria and other pathogens that they meet. They also make certain vitamins and nutrients, as well as aiding the immune system. However, sometimes, your dogs beneficial gut bacteria get damaged, die or are destroyed. This can happen for a variety of reasons, some simple like eating something they should not have – a common occurrence as we all know! Or caused by something more serious, like an infection. Regardless, the decrease in good bacteria can cause a myriad of things, including an upset stomach, diarrhea and even a general decline in overall health. After research and review, we have chosen the top 6 best dog probiotics on the market. As with all medications, and especially probiotics, its important to use the product before the expiration date – as the bacteria become less effective over time. Dogs, just like humans, eventually age. And as our pet family members age, they often suffer from the same hip and joint ailments that we do as humans. As a result, hip and joint supplements are widely recommended for dogs by vets. These supplements contain the ingredients of glucosamine chondroitin and MSM. Some also contain fish oils, the herb Turmeric and other vitamins or nutrients. We have reviewed the hip and joint supplements for dogs and have narrowed them down to the best 6 joint and hip supplements for dogs. That list can be found here. A dog’s health is not only dependent on getting the right vitamins and supplements. A dog cannot be happy and healthy while they are infested with fleas or ticks. We have listed out six of the best ways of treating and controlling ticks and fleas in your dog. Not all methods of flea treatment need involve chemicals. Several methods of flea control don’t involve chemicals at all. There are simple flea combs and brushes that don’t use chemicals at all. There are also shampoos, sprays and creams, all to keep you best friend free of those vasty little fleas and ticks. We have reviewed and ranked the best dog flea and tick treatments, so you don’t have to. Check them out! Just like their human companions, dogs are what they eat. And what we are finding in today’s overly processed world, is that some dogs feel better, become less sick and generally are in better health, by eating grain-free dog food. Since the dog food is grain-free, different manufacturers use different types and forms of meat and meat by-products to substitute for the grains often found in commercial dog food. Though in most cases, there are no issues or medical problems in feeding your dog commercial dog foods that contain grains, many dogs do better eating a grain-free dog food. We reviewed and ranked what we believe to be the best grain-free dog foods out there. What we discovered was that, depending on the dog’s breed and size, different dogs enjoyed different types of grain-free food. 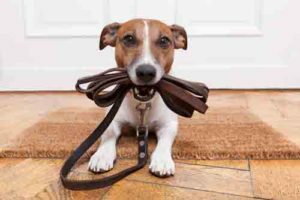 With that said, we suggest ordering the smallest bags (most of the products we reviewed come in smaller poundage) of several brands and varieties to “test” your dog’s palate. Trust us, he or she will love you for it!